Despite the abundance of digital neuroimaging data, shared thanks to all funding, data collection, and processing efforts, but also the goodwill of thousands of participants, its analysis is still falling behind. As a result, the insight into both mental disorders and cognition is compromised. The Open Neuroimaging Laboratory framework, promises a collaborative and transparent platform to optimise both the quantity and quality of this invaluable brain data, ultimately gaining a greater insight into both mental disorders and cognition. The project was submitted for the Open Science Prize competition by Katja Heuer, Max Planck Institute for Human Cognitive and Brain Sciences, Germany, Dr Satrajit S. Ghosh, Massachusetts Institute of Technology (MIT), USA, Amy Robinson Sterling, EyeWire, USA, and Dr Roberto Toro, Institut Pasteur, France. Amongst 96 submissions from all around the globe, it was chosen as one of six teams to compete in the second and final phase of the Prize. Simply having access and being able to download brain magnetic resonance imaging (MRI) data is not enough to reap all potential benefits. In order for it to be turned into insight and knowledge, it needs to also be queried, pre-processed and analysed, which requires a substantial amount of human curation, visual quality assessment and manual editing. With research being rather patchy, a lot of efforts are currently redundant and unreliable. 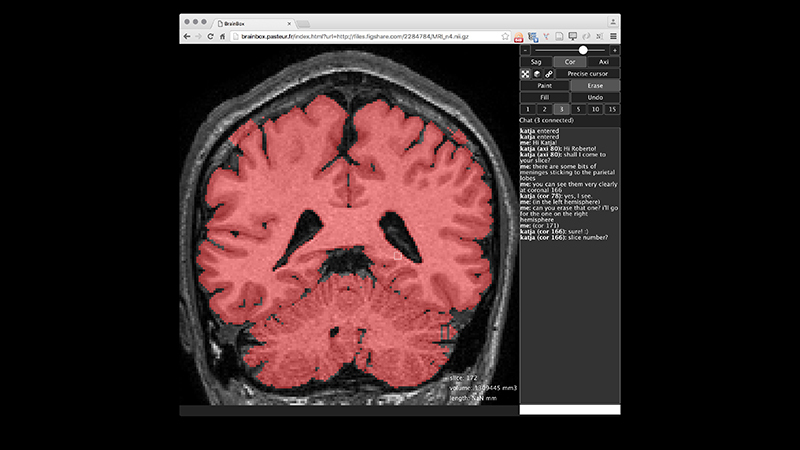 On the other hand, the Open Neuroimaging Laboratory aims to aggregate annotated brain imaging data from across various resources, thus improving its searchability and potential for reuse. It is to also develop a tool that will facilitate and encourage the creation of distributed teams of researchers to collaborate together in the analysis of this open data in real time. “Our project will help transform the massive amount of static brain MRI data readily available online into living matter for collaborative analysis,” explain the researchers. 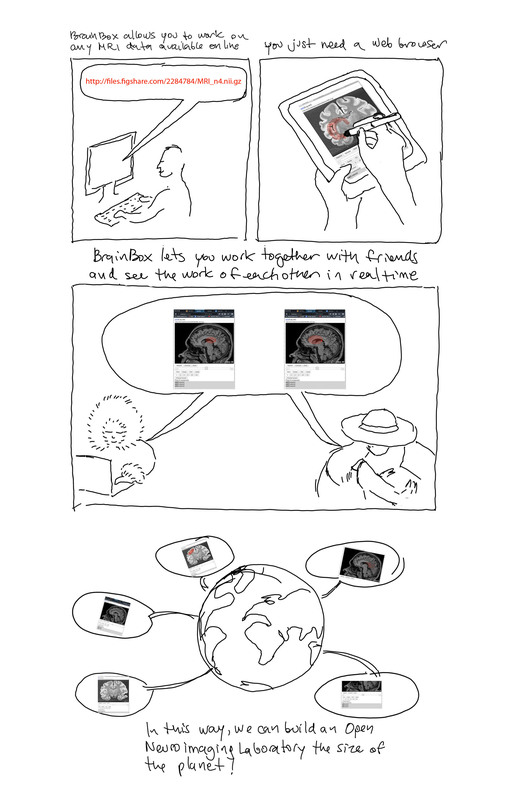 Having already developed a functional prototype of the BrainBox web application, which provides an interactive online space for collaborative data analyses and discussions, the team will now turn it into a first version with an improved user experience, stability and documentation. Planned for the Open Science Prize Phase 2 are furthering the type of analyses and exploring the development of interfaces for database-wise statistical analyses. In the spirit of the competition, the scientists have decided to release their code open source on GitHub to facilitate bug fixes, extension and maintainability.